This is a beginning T-Shirt class that covers cutting, fusing and framing t-shirts. This is a basic class for 2 hours during the morning. 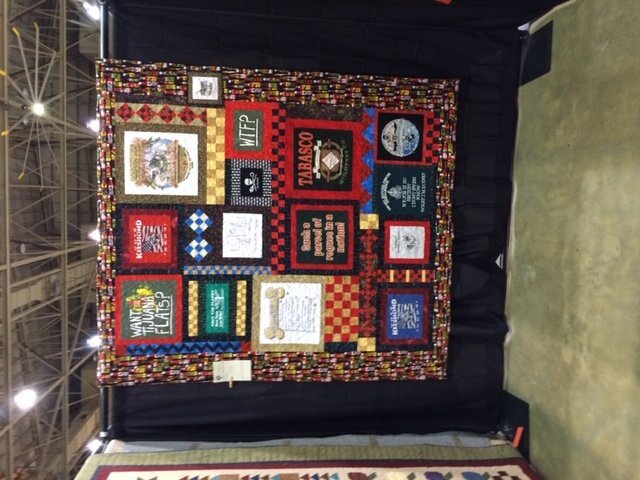 If you are interested in more complex filler designs on a t-shirt quilt, then you can also sign up for the Advanced T-Shirt design class on the same calendar day, but during the afternoon. You will not have a finished t-shirt quilt at the end of this class. You will be taught how to construct the quilt without a pattern. You will need to finish your design and blocks at home after the class. However, you can join Sunday Funday or any other open sew at our quilt shop to continue your work on this project. Open sew is available on Wednesday afternoons. This is a great gift for new graduates.